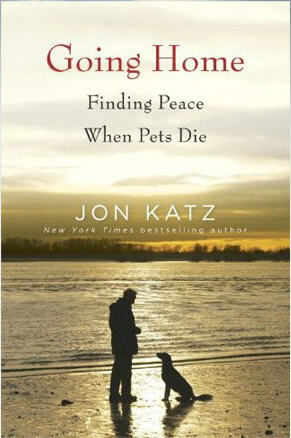 If ever there was a book that deals with the subject of animal death in an unsentimental way, Going Home: Finding Peace When Pets Die is it. "I did not want to be one of those silly people who lost themselves in the lives of their dogs and cats. I didn't want people to see how I felt. I told myself that Orson was just a dog, an animal. It wasn't like he was human. Yet my grief could hardly have been worse. I admitted to myself that I had lost members of my family for whom I had not felt that much sorrow. It was a shocking thing to consider." 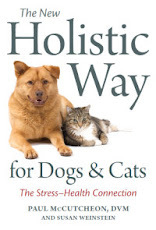 I've long admired Katz's writings about the wonderful dogs with whom he shares his days at Bedlam Farm, but have mistrusted him since he first wrote about sending an adopted steer, Elvis, to slaughter. And to be honest, those feelings rose up anew while I was reading Going Home, in which Katz recounts Elvis's sad fate yet again. Katz freely admits that he "adopted Elvis, a three-thousand-pound Swiss steer, to spare him from the slaughterhouse." In spite of having made that commitment, Katz started to feel "uneasy" about the gentle giant when he had to change his own routine to accommodate Elvis's. though Katz says, "Killing Elvis was not the ending I wanted," he rationalized it by finding a slaughterhouse that "used sedatives so that the animals did not feel pain." Katz dispatched Elvis in a neighboring farmer's trailer, feeding him "one last chocolate donut from Dunkin' Donuts, his favorite treat," perhaps as a way of assuaging his guilt, perhaps not. I couldn't help but compare the image of Elvis being led away to his bloody demise with the deathbed scene of the steer, Samson, which was so lovingly described by Kathy Stevens in Where the Blind Horse Sings. When it was his time to go, Samson wasn't sent away to face a brutal ending: he quietly fell into unconsciousness at the farm where he had lived out his life in peace and dignity. 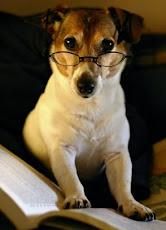 "For families dealing with the death of a pet, it's important for parents to share the experience of grief with their kids, rather than ignore it or simply wait for it to pass. Acknowledging loss is important. Children's grief ought not to be rushed or diminished any more than the pain adults feel when their animals die." In the end, Going Home: Finding Peace When Pets Die is a good read, even if you don't agree with Katz's life-and-death decisions and the way in which he's rationalized them. The man has grieved greatly for his lost creature companions, and in that, we're all united.